Power 4 All is a Filipino-owned and operated company that provides cutting edge but practical technologies for water treatment and renewable energy for communities all over the country. It provides solutions that have been used in various situations around the world, ranging from disaster preparedness and response and AID programs for remote villages to community development and humanitarian efforts. The company, a member of the Israel Chamber of Commerce of the Philippines (ICCP), envisions itself as a leader in providing technologies to its partners in community development. Corporations and organizations such as USAID, World Vision, World Bank, the United Nations, and MercyCorps have used its solar power, and water systems. 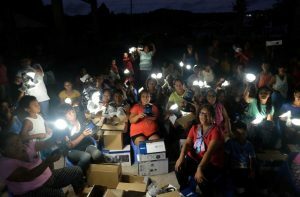 Beneficiaries receive Niwa solar home systems from the Institute of Climate and Sustainable Cities (ICSC) in partnership with Urban Poor Associates and Christian Aid in Suluan Island. Power 4 All’s various solar power systems satisfy the needs of communities and households. The Hybrid Power Cart, Solévolt Enterprise, and Niwa Energy 50 are examples of its full-system solar energy generation units. The Solévolt Enterprise and the Niwa Energy 50 are full-system battery storage units and regulators. The Hybrid Power Cart, on the other hand, is a generator system with a gasoline/diesel backup generator attached to a cart pulled by vehicles or beasts of burden. Products like the D.LIGHT D30, Niwa 600 X3, and Niwa Public 1000 X9 provide solutions for your lighting requirements at home and in the office. The company also offers solar-ready appliances and solar street lights. The Odis LitePure LPSW and Odis Waterpoint EXT are mobile water purification systems mounted on carts, while the Odis Compact LitePure is a compact skid mounted system. 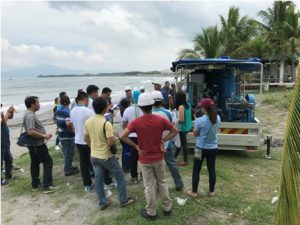 Odis Mobile Treatment Plant from Israel being demonstrated at a beach in Bataan. Power 4 All provides opportunities for community members to engage their towns and areas actively through a dealership program. It offers livelihood options, and a means to further spread the company’s off-grid solutions throughout the country’s remote communities. For more information on Power 4 All’s products and services, e-mail [email protected] or call (+632) 730-3899. You may also visit their office at 903A 9F East Tower, Philippine Stock Exchange Centre Exchange Road, Ortigas Center, Pasig City, Philippines 1605 and their website at www.power4all.org.